The low failure rates of dental implants is one of the primary reasons that they have become one of the most successful and sought after treatments in modern dentistry. Implants are often the preferred option by both dentist and patients for replacing missing teeth. A recent press release from Transparency Market Research “Nanotechnology in Dental Implants Market – Global Industry Analysis, Size, Share, Growth, Trends and Forecast 2016 – 2024” indicates that the use of nanotechnology has revolutionised multiple branches of medicine, including dentistry. Nanotechnology could enhance the work we do by influencing the integration process of the dental implant in to the bone and remarkably, the chances of post implant placement infection. The high number of patients with missing teeth. Increased training and education about dental implants for the general dentist. Public awareness about oral health. Malcolm did not wish to have a denture as he liked steak too much. Following removal of all the failed teeth, bone grafting was carried out and 9 implants placed in all back areas of his mouth and veneers placed on his top and bottom front teeth to improve his smile. The primary reason that patients give for liking dental implants is the fact that they look so natural and appeared to ‘grow’ out of the gum like natural teeth. Dental implants in themselves also do not necessarily impact adjacent teeth, unlike dental bridges where reduction of potentially healthy teeth either side of the gap is required. Clearly, the function of a dental implant is to replace a missing tooth, this not only allows the patient to chew again but also may restore the way the teeth function and work together, known as the occlusion. With a fully functioning occlusion the patient is far less likely to develop any jaw joint problems which can be manifested as headaches. When a tooth is extracted it leaves a socket in the bone. Rather than new bone form in this socket, what actually happens is that the surrounding bone collapses in. This ultimately leads to a reduction in the quantity of bone in that area. The reduction of bone can also lead to a loss of gum creating an unsightly gum line. A dental implant is uniquely capable of preventing this bone resorption. 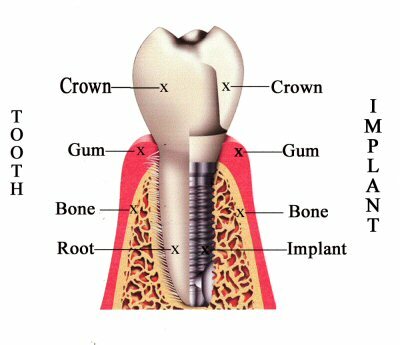 The implant needs to be placed as the tooth is extracted, if this happens the implant takes the place of the tooth root and prevents this bone resorption from happening. Thereby maintaining the gum line. All of the teeth in your mouth are also in very fine balance with one another. 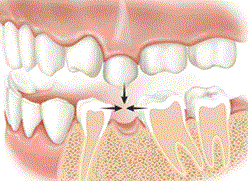 If the tooth is removed the adjacent teeth will have a tendency to tip into the gap, the opposing teeth will also have a tendency to over erupt. Having a dental implant placed will support the surrounding teeth and prevent this happening. Our hope is that the nanotechnology continues to improve the success rate of dental implants to enable as many people as possible to enjoy smiling, eating and chewing again with absolute confidence by replacing missing teeth. Senova Dental Studios is a Bupa accredited private dental practice in Watford, Hertfordshire. Patients travel from around the local area including Rickmansworth, Chorleywood and Gerrards Cross to enjoy the highest standard of dental implants and restorative dentistry. So many of us have seen the adverts on TV which talk about bleeding gums whilst brushing and flossing, but is it really a problem if your gums bleed? In this blog post our Watford dentists take a walk through the dental health issues related to bleeding gums whilst brushing. 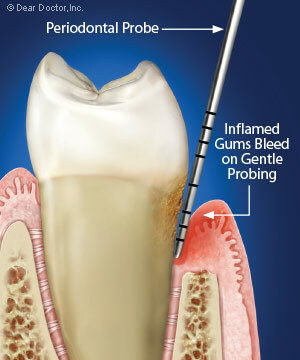 The most common cause of bleeding gums is gingivitis, this is the first stage of gum disease and is really simple to treat if caught early. The acid excreting bacteria which live in your mouth congregate where your cleaning is not quite so efficient, usually in between the teeth. As the bacteria congregate because plaque and this plaque can irritate and infect the gums. When the gums become irritated they become swollen, tender, red and can bleed whilst brushing. Gingivitis responds well to a change in cleaning habits and a good visit to the hygienist or dentist. If you are thinking about having orthodontic braces then you may be wondering about some of the common problems that people experience, if this is you then we’ve written this blog post and laid out some of the concerns that our patients have told us about prior to going ahead with orthodontics here at our dental practice in Watford. Whilst it’s important to be fully informed of the various issues that may arise it’s equally important to bear in mind the advantages of having orthodontic braces to help you eat, chew and smile again with absolute confidence. We’ve written in the past about some of the problems of NOT having straight teeth which can include dental health problems caused by an inability to clean crooked teeth properly and bite problems which can lead to headaches and neck pain. Will I have problems eating with braces? If you have removable braces then you will probably find that eating is virtually unaffected during orthodontic treatment. However, many clinical situations require the use of fixed orthodontics and some patients find a few problems eating. Eat slowly. Cutting your food into smaller pieces and chewing slowly will make things easier. Softer food. It sounds obvious but soft food is far easier to eat than hard crunchy food. Avoid stringy food. Some food, like mozzarella, can be extremely stringy when pulled apart.. This can get caught in intricate braces and make cleaning very difficult. Reduce the amount of nuts and seeds. These can get stuck in braces and often be really difficult to remove. Popcorn is also to be avoided wherever possible. Change the way you bite. When you bite into something, rather than using your front teeth, try using the side of your mouth. This might be a little bit difficult to master and certainly isn’t natural you might find it easier than using your front teeth to bite. Make sure you can see what you’re eating. Some foods like tortilla wraps and pies can have hidden lumps or nuts. It’s best to chop this type of food up so you can see exactly what you’re eating beforehand to avoid any surprises. Build a recipe book of meals you can prepare quickly and eat easily. The British orthodontic Society have a recipe book which you may find useful. Ease the pain. If your braces are sore whilst you eat remember to use your wax in between meals can keep the inside of your cheeks pain-free. A little dab of teething gel may also help to relieve pain. Will I get cavities around my braces? Anyone can get dental cavities, the challenge when you have braces is to ensure that you clean the teeth properly. Your dentist will be able to provide you with a range of cleaning items such as Tepe brushes, tape and floss which can be threaded through underneath your braces. Choose the right toothbrush. A regular toothbrush may work for you but you might find that a sonic or electric toothbrush is easier to work around the brackets. You might find that the bristles wear down much faster so be prepared to change your brush more often. Brush the outer side of your teeth. This is the side against your cheek which you see when you smile. Most people cleaned this side of their teeth extremely well as it is so visible, but do make sure you go right to the back of your mouth cleaning this outer surface using small circles to brush the braces. We recommend you spend about 25 seconds working the toothbrush around on each bracket. You may also need to wiggle an interdental brush around the bracket between the wires. Brush the inner surface of your teeth. This is the side against your tongue. Many people miss this area but it’s just as important to keep clean as the outer side of your teeth. If you have lingual braces then you will need to modify the technique from .2 above, making sure you clean around the brackets on the inside. Brush the biting surface of your teeth. These are the parts that meet each other make sure you work toothbrush into the nooks and crannies on each tooth and between the teeth. Brush your tongue. The tongue can harbour many bacteria which can often lead to bad breath. Just give your tongue a quick brush with your toothbrush to ensure your whole mouth stays healthy. Go interdental. Clean in between your teeth, known as the interdental area. This is where plaque can build up which is as a result of the bacteria in your mouth. Using a good quality interdental brush, floss or tape can help to clean in this area. Rinse your mouth out. In between meals rinse your mouth with a fluoride containing mouthwash. Don’t use mouthwash after you have cleaned your teeth with toothpaste as the toothpaste contains more fluoride than mouthwash does. 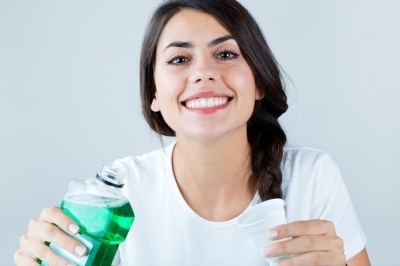 If you use mouthwash after cleaning with toothpaste then you actually reduce the amount of fluoride against your teeth. Braces are very expensive how can I pay for them? Many dental practices offer treatment finance plans to pay for your braces. Typically this can be 0% interest on anything up to one year and interest-bearing after one year. If one things rationally about it, a mobile phone contract can easily cost £500 per year, each and every year. Over a ten-year period your mobile phone could end up costing £5000! Financing dental braces over a couple of years will have a result for life and can be considered far better value than a simple mobile phone. Will I have bad breath with braces? No. At least not related to the braces. So long as you keep your teeth clean and avoid smoking your breath should remain fresh. Bad breath is often caused by either a medical condition (which would be unaffected by braces) or by poor oral hygiene. Where can I get dental braces? If you live in the Watford, Chorleywood, Rickmansworth, Garston, Gerrards Cross and Hertfordshire areas then our dental practice offers a wide range of orthodontic services, please visit our website for more information. 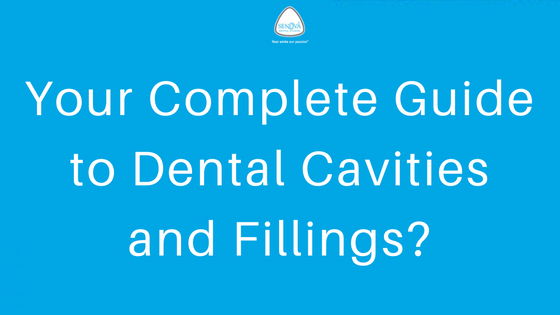 In this blog post our Watford dentist takes a detailed look at dental cavities and fillings. Our Watford based dentist is here to help you stay dentally fit for life, keeping dental decay and cavities to the absolute minimum. In recent years the Inman aligner has revolutionised dental braces around the world and is one of the fastest orthodontic braces available. It has even made it to an article in magazines such as Marie Claire. Because the Inman aligner uses a unique system of springs which push and pull different parts of your tooth at the same time it is possible to straighten teeth in approximately 12 weeks. This article takes a detailed look at the aligner, from the cost, the problems, the results and the process. At the beginning of treatment the aligner may only be putting pressure on a single tooth, but as the treatment progresses and that tooth moves into position other teeth will then be touched and affected which means these will also have pressure pushing or tipping them into the correct place. The aligner has a wire on the front of the teeth and one on the inside part of the teeth with strings attached. The front part on the outside of your teeth will be pulling the tooth inwards and the inside part will be pushing the tooth outwards, thereby meaning it is rotated and pushed into the correct position. This action is limited to smaller amounts, if your teeth are extremely rotated you may find that the Inman Aligner is not suitable for you, in which case another form of orthodontics may be best. What results can be expected with the Inman Aligner? The important thing to remember is that we should be limiting our goals and expectations, we are not trying to achieve the perfect result using this type of rapid orthodontics. We’re not necessarily trying to fix your bite although the bite can be affected and often improved. With the Inman Aligner we are focusing on the front (anterior) six teeth and moving them to a more acceptable cosmetic position. The actual dental process is very simple. Your dentist will assess your teeth for suitability and have a discussion with you about the pros and cons of using an Inman Aligner. Dental impressions will be taken and sent off to the laboratory. About two weeks later the brace will be sent back to the dentist ready for your appointment. You have your dental brace fitted and the dentist will give you instructions on how to look after it and wear it. One of the biggest problems people experience is not wearing the Inman Aligner for long enough each day. The recommended daily amount is to wear your Inman Aligner for 20 hours per day, only taking it out whilst you eat and brush your teeth. This means it takes some effort on your part to ensure that you do your thing to be part of the process and help things along. If you only wear your liners for 11 hours per day you could end up doubling the amount of treatment time, which contradicts one of the main reasons for using this type of rapid orthodontics in the first place. Will I be able to eat with an Inman aligner? You will not be able to eat whilst wearing your orthodontic brace. You need to remove the aligner whilst eating and for cleaning. What will the results be like after wearing the Inman Aligner? How much does an Inman Aligner cost? The Inman Aligner typically costs between £2,000 and £3,000. Would the Inman aligner work for me? It is less suitable for people with biting problems and cannot be used to move back teeth. The aligner can also be used in what is known as pre-restorative alignment. You may have a chipped or broken down tooth, typically we could use dental bonding or dental veneers to restore this tooth but if the body of the tooth is in the wrong place this can be compromised. By using an Inman aligner to move the body of the tooth into the correct place it allows your dentist to restore them using veneers, bonding or crowns in a more conservative and natural way. Does the Inman Aligner hurt? They should not normally be any pain when wearing this type of orthodontic brace. You may find that your teeth feel a little tender for the first week or so but as the pressure from the brace reduces you should become more accustomed to this pressure. The Inman Aligner. is almost imperceptible, the part which wraps around the front of your teeth is clear and unobtrusive. Also, because the Inman Aligner is only worn for a couple of months it is a highly acceptable form of orthodontics. Senova Dental Studios is a dentist in Watford offering cosmetic and general dentistry, for more information please call the number above or request an appointment online. You may also find our page on how to find an orthodontist near you quite useful. In life we know that if things are particularly complicated then a specialist in that area is the best person to sort it out. Dentistry is no different. Understanding which specialist to see can often be rather confusing so in this blog post, our Watford dentists takes some time to go through each of the specialist areas to help you understand which person can best solve your dental problems. The following definitions are taken from the General Dental Council specialist register. With so many specialists working to help save, restore and generate your perfect smile it can be a little overwhelming to know where to start. Our dental practice in Watford works with resident specialists, in all areas, we can refer you to the right person for you, alternatively you could search the specialist register on the GDC website. How do I chose an orthodontist near me? Choosing where to go for your orthodontic treatment can be a little bit of a mine field, how do you choose an orthodontist? How do you even begin finding a dentist that can offer orthodontic braces near you? in this blog post we’re going to look at a series of questions you could ask an orthodontist and how to go about finding one in the first place. The best way to find many things in life is to ask your friends and family, personal recommendations are one of the best ways to ensure that your service providers are of the highest quality. If you have friends that have had dental braces then these would make the ideal person to ask. Towards the end of this blog post will also give you a list of questions that you could ask your preferred dentist once you have found them. Lookout for patient testimonials and reviews, these tell you how good the service was from this practice, lookout for sites with lots of reviews, ideally recent ones. Does the dental practice offer a low risk way of seeing them in the first place, either by a free consultation or perhaps a refund of the initial assessment. Is the website regularly updated? Look for a date on the website, this is often at the foot of the page. ‘Last update’ or ‘copyright date’ are a good indicator of how often the site is updated. A frequently updated site indicates a dentist that wants to hand out the most recent and useful information. Does the website display registration numbers for all of the dentists? The General Dental Council require all dentists to list their GDC numbers on the website, this gives traceability and ensures you are visiting a registered dentist. Another way to find a dental practice that can offer orthodontics near you is to ask your existing dentist. General dental practitioners often refer to a specialist orthodontist in the local area, if you ask your general dentist for a referral then they should be able to recommend an orthodontic practice locally to you. Specialist orthodontists have extensive postgraduate training in orthodontics, they are able to offer more complex treatments which can deal with almost any orthodontic problem. The following places give some good information on your options. British Academy of Cosmetic Dentistry. The British Academy of Cosmetic Dentistry aims to promote clinical excellence in cosmetic dentistry, that is carried out in an ethical, minimally invasive way. They have a list of various treatment options which explains how the treatment works and what it may end up costing. Cosmetic Dental Treatments Information Guide. This is a completely independent website which lists your options sorted by dental problem for example you could view ‘Straighter teeth’ and see all of your options available. As ever, the Wikipedia community continues to keep this page updated with most of the modern treatments available. We recommend you take some time to view each of these resources to see which treatment option may be best for you. We would then be privileged to answer any questions personally by way of an initial consultation. Once you have found a dentist you believe may be right you or your child then you will need to book an appointment. Many dentists offer either as free consultation or perhaps a refund of your initial assessment fee. Ensure that you are given adequate time to ask all of the questions you feel appropriate, sitting in a relaxed environment, perhaps over a cup of coffee can help the conversation flow with your dental team member. Each of the differing orthodontic systems such as Invisalign, Inman Aligner or Six Months Smiles have extensive training courses and certification programs. Dentists offering these systems should have certificates clearly displayed. Specialist orthodontists are the only dental professional entitled to use the word specialist, this means they have postgraduate training enabling them to offer a wider range of treatments. How long have you been offering orthodontics? This question also helps you identify the experience of your chosen dental professional. Again, another question to help you identify experience. A good dentist should have plenty of examples to show you, before and after photographs are a great way to help you understand your treatment. Your dentist may be able to show you photographs of patients treated with clinical situations very similar to your own, this will give you a good understanding of what the possible results maybe. How often will you review my progress? Before you commit to treatment you will want to know how often you may have to visit the dentist, hopefully, you will find a dentist near you to make things as convenient as possible. With orthodontics, you may find that you need to visit the dentist roughly every 4-8 weeks. Senova Dental Studios are a local dentist in Watford offering clear orthodontics with Invisalign & rapid orthodontics with the Inman Aligner and Six Months Smiles. If you live locally, around Rickmansworth, Chorleywood, Bushey or Gerrards Cross and are looking for a dentist near you then please do give us a call.